Thierry Neuville and co-driver, Nicolas Gilsoul, armed with the Hyundai i20 R5, won the weekend’s Ypres Rally, but were rallying for more than just their personal accolades and success. Their car was adorned with a special livery which promoted the worthy Red Nose Day charity, supporting young people with mental health issues. Mental health is an topic well worth speaking about, and the awareness of such is valuable right around the world. 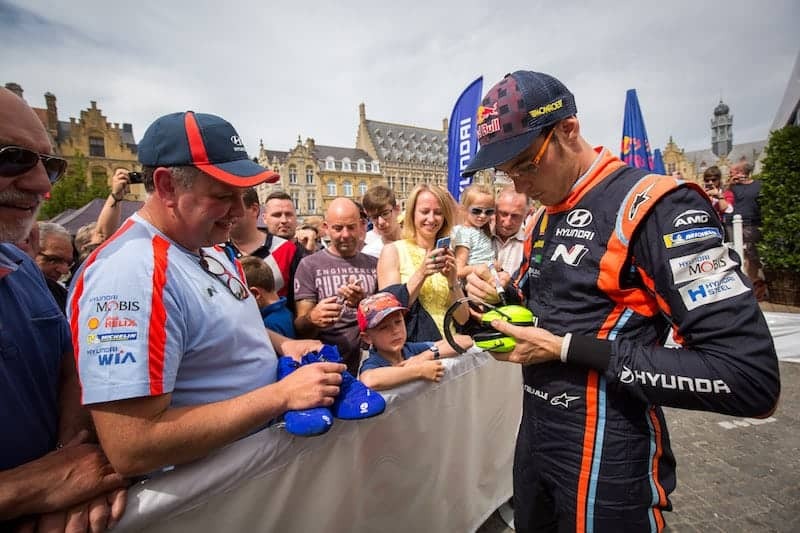 “On rallies, we have the chance to meet many children and young people who are passionate about the sport and the message we want to give to them is that we can do a lot of things by giving it a go,” Neuville said prior to the event. “No dream or goal is impossible to achieve. Sometimes you can find the resources you need to make them happen and sometimes you need the help of professionals. This should no longer be taboo. We are proud to support Red Nose Day and help children with psychological difficulty,” he concluded. In light of the fundraising efforts, one fan pledged over 3,500 Euro to sit alongside the Belgian in a pre-event test. It’s a credit to Hyundai Motorsport and the crew for supporting the cause, one which is at the heart of many around the world. They could have used the opportunity to promote their customer program or their many partners, but chose a worthy non-profit cause. 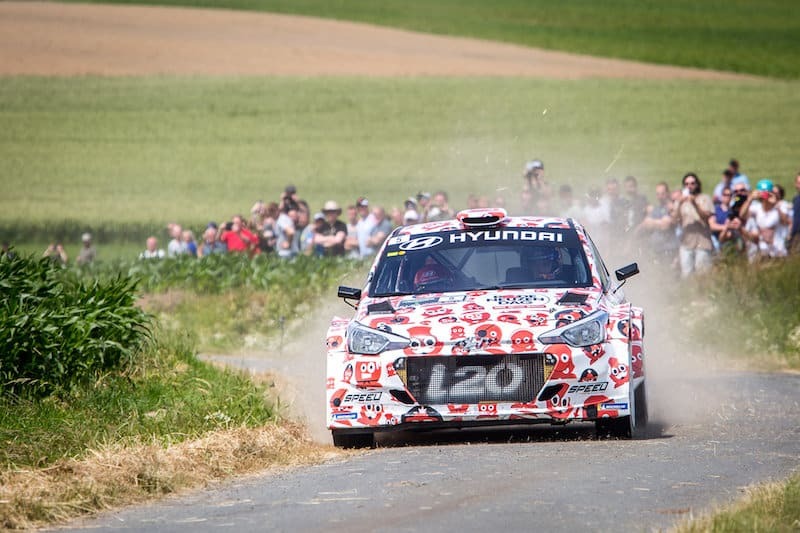 It is not the first time that Hyundai have used a special livery at the Ypres Rally. In 2017, Neuville drove a colourful i20, specially designed for the event through a design competition for young fans of the Belgian star. He lasted only five stages, however, as he crashed out of the rally on a typically tricky Ypres bend. He did, however, make the most of the charity exposure this year, winning 15 stages on his way to victory. The support shows the power of sport and rallying, and proves that a rally car’s livery is an incredibly powerful tool for sponsorship and awareness. Note: The third edition of Red Nose Day (Rode Neuzen Dag) takes place on November 30, 2018, with as theme the mental well-being of young people in schools.